What is the Grand Tree? 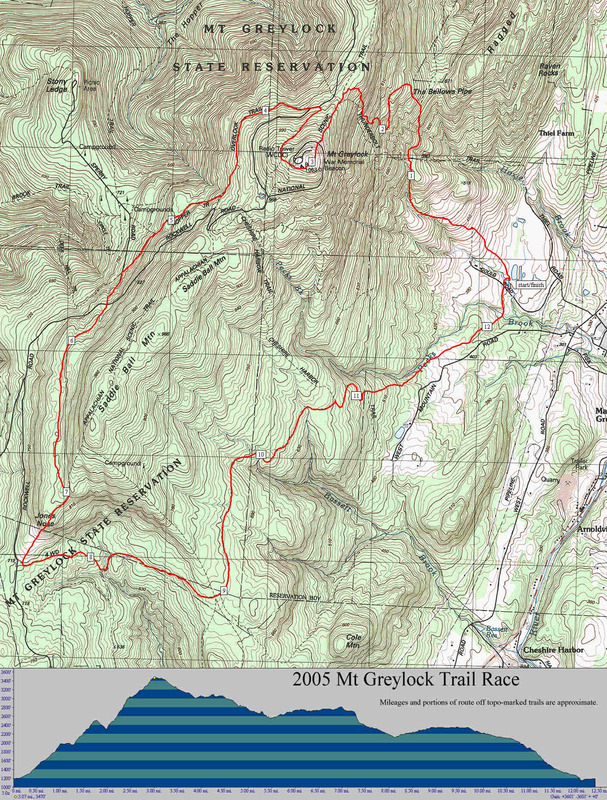 The Grand Tree is a New England trail race series that provides competition, community, and a measure of performance relative to one's peers or oneself over time. For beginning trail racers, it's an entry to races farther from home or of differing distance or character. For new trail races, inclusion in the series can help a race become established. Run as few or as many races as you like, at least six to officially complete the series. Each race earns you points proportional to your pace as a percentage of the winner's pace, with the winner getting 100 points, and, for example, a hypothetical runner at 75% of the winner's pace getting 75 points. Your best six races determine your final standing for the series. In addition, for the "Stonehead" competition, the points for all the races you run are summed. For dual-distance races, the longer race is the Grand Tree Race except for Pisgah and Peaked as noted. Runners officially finishing the current season will be invited join an online forum to decide the next year's list of Grand Tree races. Please check later for race dates not yet announced. Dave Dunham's 2008 Rivah Story - pics, video! 2016 Results | 2015 Results | 2014 Results | 2014 Flier | 2013 pre-GT results. For the 3.5 mile race: Pre-registration recommended. Come early enough to get bib and catch 9:30am bus to 3.5 mi start. 10.5 mile GT race is as in past.